32 other birds have this item in their bag or wishlist! 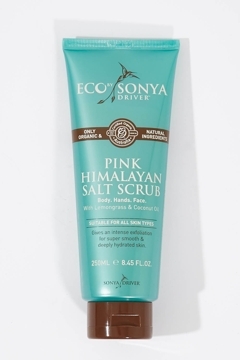 The Pink Himalayan Salt Scrub from Eco Tan is a must have. It's a bit of rough love for some seriously smooth skin. This Australian certified organic scrub targets stretch marks, dry flaky skin, cellulite and pigmentation. It delivers deep and lasting hydration. It is also great as a tan prep or when removing old tan. I love this body scrub. It leaves my skin feeling so soft & fresh.